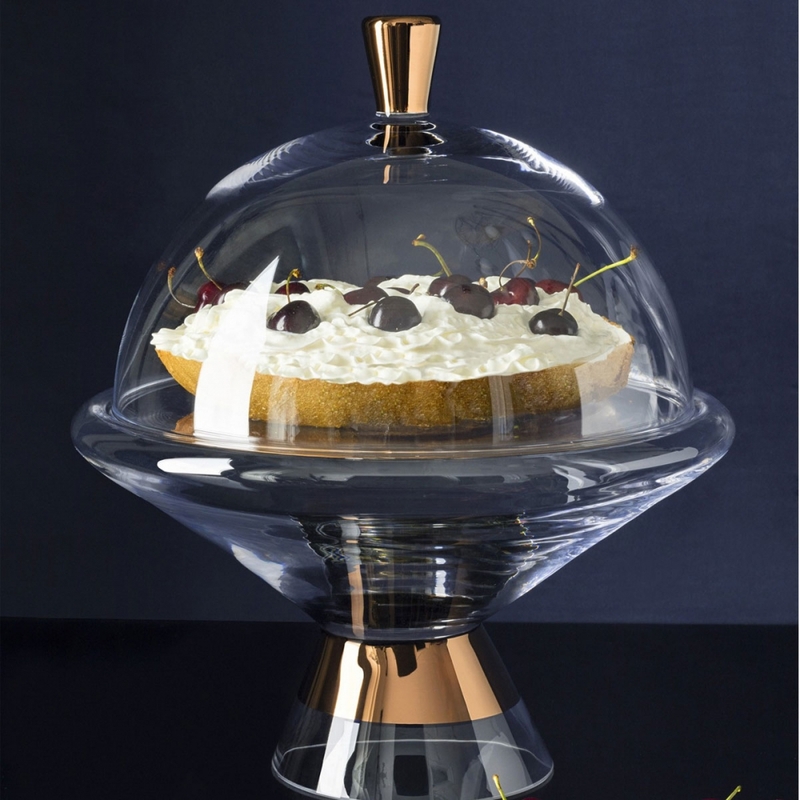 An elegant Tank Cake Stand to present desserts and tarts . Mouth-blown and ornamented with hand-painted copper detailing. glassware and tableware. Presented in gift-packaging.